Home / BCT News / Birmingham Conservation Trust Needs You! Birmingham Conservation Trust Needs You! Are you passionate about Birmingham’s heritage? You could be just the person we need. We are looking for four new trustees to join our board and lead the trust into the next 3-6 years of its strategic programme. 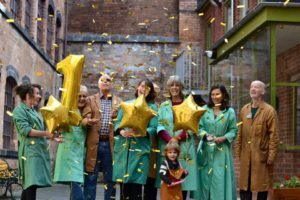 Amongst the trustee roles we seek to fill are treasurer, a chair of the management committee of our multiple-award winning Coffin Works museum, and trustees with fundraising experience. For those with the right qualities, this is an extraordinary opportunity to shape the direction of the trust and build the support and partnerships needed to secure sustainable and imaginative new futures for Birmingham’s endangered historic buildings. An informal open evening for potential candidates will be held on Thursday 7th July at 6.30. Closing date for applications: Friday 15th July. Sorry to hear that. Please do keep your eyes peeled for future board positions and if you would like to be involved in any volunteering in the meantime then drop us a line.